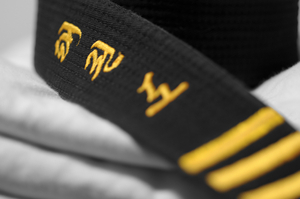 Tae Kwon Do is a Korean Martial Art that was developed as a means of self defense by combining unarmed combat techniques with sport and exercise. The roots of this art began over 2,000 years ago, developed by the Three Kingdoms of Korea(Goguryeo, Baekje and Silla). It was taught to young men as a means of developing strength, speed, and survival skills. Although it had a variety of systematic blocks, punches, and grapples, there was a strong emphasis on kicking. It was widely regarded as a powerful tool, being that a person’s strongest muscles are located in one’s legs. Today, Tae Kwon Do is the world’s most popular martial art, with over 70 million practitioners worldwide. It is practiced in a variety of methods; as a performance art, sport, or even in self defense. 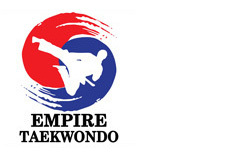 It has even gained international recognition as an Olympic Event, governed by the World Tae Kwon Do Federation. If you have goals to become a black belt, a serious competitor, or even just to have fun and get in shape, Tae Kwon Do has many benefits for all of it’s students, enhancing the body, mind, and soul. PERSEVERANCE (In-Nae) is persistence, a steadfast pursuit of and an understanding of the aim, continuation in the practice of Tae Kwon Do regardless of the amount of obstacles, hindering circumstances, difficulties, or occasional “let downs” which are only temporary situations. The strong will to hold on, regardless of obstacles. Loyalty. SELF-CONTROL (Guk-Gi) is a double edged sword: on the one hand, it is the physical control with regard to motions, precision of execution, prevention of unnecessary injuries (as opposed to acting wildly) or killing, due to lack of control. Experience is the best teacher, but all the physical reactions are based on the psychological makeup, maturity, and moral, ethical, and religious codes. Emotions are usually involved, to a certain degree, in the majority of situations, hence the need for emotional self control. The degree of controlling the particularly strong emotions such as love, hate, anger, surprise, joy, sadness, etc., show the level of achievement of each practitioner of Tae Kwon Do. INDOMITABLE SPIRIT (Baekjul-Bool Gool) Indomitable means unconquerable, unbreakable, unquenchable. To put it simply, it means that one has such strong unshakeable beliefs and principles that even sacrificing the most precious possession one has, one’s own life, is not too high a price to pay in defending them. The most classical example of the application of this tenet is found in ancient Greek history, in the story of the Thermopylae, Leonidas and his 300 Spartans.